One of the advantages of a web based manual is that it allows display of dynamic content. 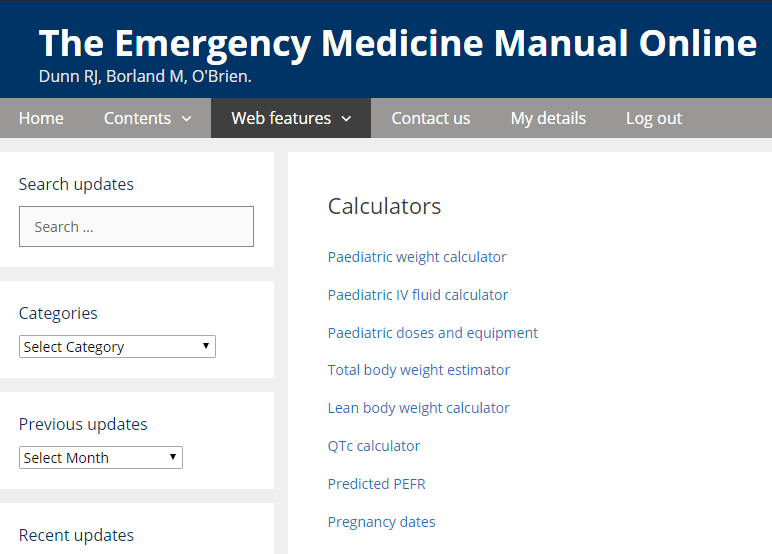 The online manual currently contains calculation pages for BMI, estimated weight, lean body weight, QTc, due date of delivery, PEFR, and paediatric resuscitation doses. "I had no idea that this online version is so user-friendly. Till now my reading-preference has always been old-fashioned "paper" versions"
"Keep up the good work on this amazing text - by far the most useful of all the AT texts." - Advanced EM Trainee, NSW.